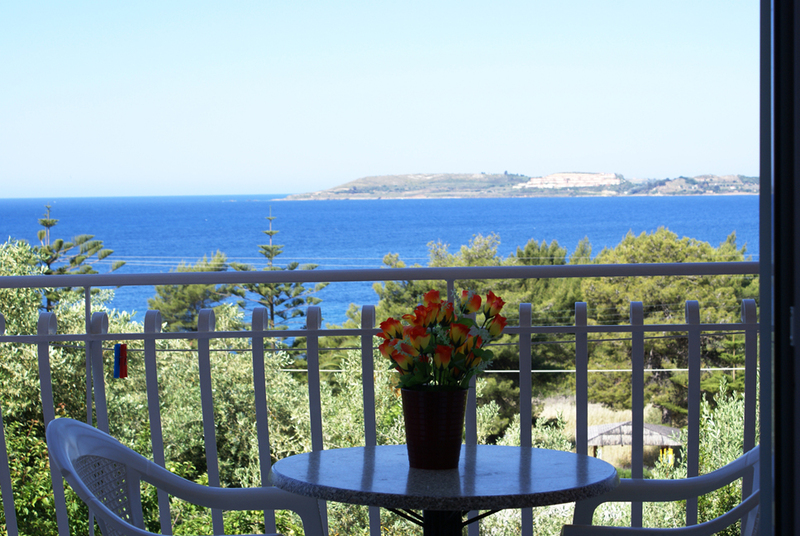 Panoramic views overlooking the Ionian sea from Oskars studios, apartments in Lassi Argostoli Kefalonia. Accommodation in Lassi Argostoli Kefalonia. Oskars Studios & Apartments are located in a beautiful garden Lassi, Argostoli, Kefalonia, 70 meters from Oskars restaurant in the romantic and scenic Fanari route in Lassi Argostoli kefalonia. All rooms offer fantastic view over the Sea and the area of Palliki Peninsula and Lassi coastline of Kefalonia. The location is such that it offers visitors quick and easy access to the commercial center of Argostoli, but in also some of the most famous, beautiful and cosmopolitan beaches of Kefalonia, Makris Gialos and Platis Gialos. It is also nearby some of the most picturesque beaches of Lassi. 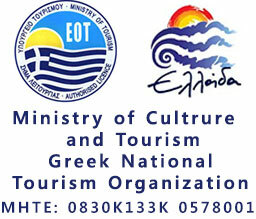 The 3-star complex operates under the auspices of the Greek National Tourism Organization. It is a complex of 15 apartments and studios fully equipped that can accommodate from 2 to 5 people. All rooms have double glazing, balconies, WC, A/C, TV, wireless internet, fully equipped kitchen with stove and refrigerator. In the public areas of the complex you will find a playground for younger guests and a private parking in a beautiful garden full of flowers, lemon, orange, mandarin, apple, pear, peach, banana trees and many others. In the bar of the complex you can enjoy your drinks, ice creams and various snacks, while in the famous Oskars restaurant you will be thrilled with the wonderful menu. The airport is 8 km away, and transfer can be arranged upon request. You come as a customer and leave as our friend. 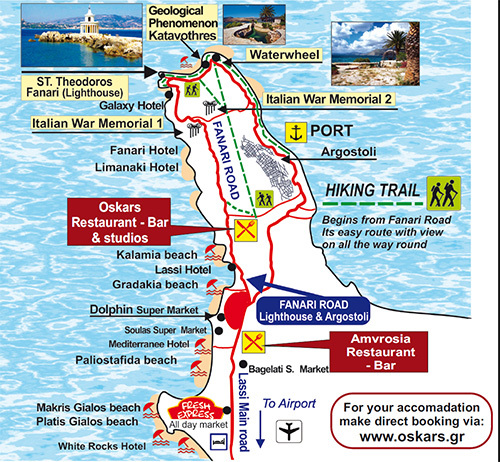 Oskars family business since 1976 in Kefalonia Oskars is on the Fanari road Lassi Oskars studios and apartments. Open all the year round. Kefalonia is a large and beatiful island, the center is Argostoli and Lassi area, with 7 clean beaches and a lot of sightseeings. Staying on the center of the island helps you easily organize your excursions in all directions. Contact us for more information and the best prices available. Oskars studios apartments restaurant and bar, is located on the center of Island Argostoli and Lassi resort. Our policy is not to pay commission to travel agent or middlemen. The commission goes directly to tourists with our excellent food, friendly service, great place. So do not expect the travel agent, tour operators or middleman to recommend us. Our customers is the best advertising for us because they recommend us to other people.